I’m super excited to share this new project with you today! 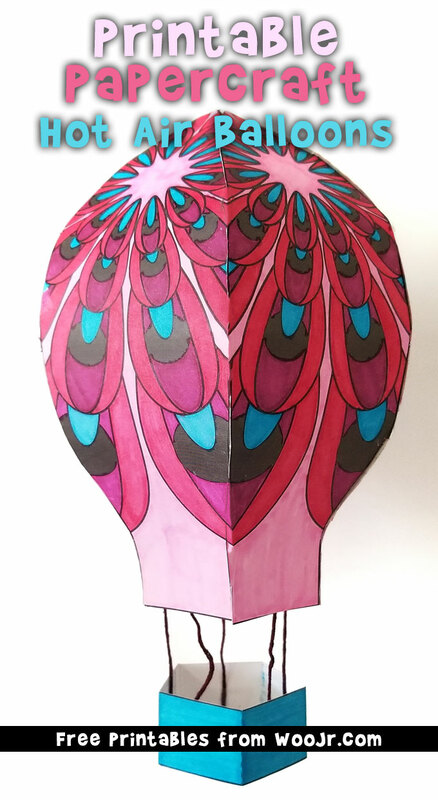 I have a *thing* for hot air balloons in art and craft projects. They are just so beautiful and aesthetically pleasing! 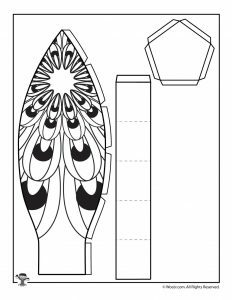 This hot air balloon printable papercraft is a fun and beautiful craft to make and hang from the ceiling to decorate a kid’s room! Although simple, the way this paper model gets put together can be a little tricky. 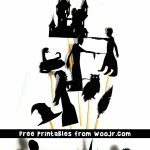 So this papercraft project is recommended for kids ages 9 and up. 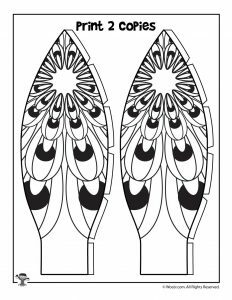 Choose which design you’d like to make and print out 2 copies of the first page and one of the second page. You’ll have three pages total. 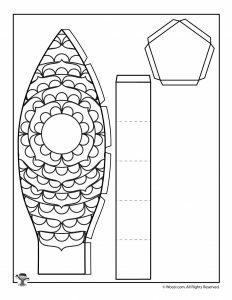 We recommend printing this project out on regular paper, NOT cardstock. Cardstock is much harder to manipulate with paper folds and makes this project more challenging than it needs to be. If you’re up for the challenge and want the thicker paper, go for it! But we warned you! LOL. Color with markers or crayons as desired. 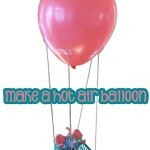 Cut out all pieces of the hot air balloon – you’ll have 5 balloon sides and two pieces for the basket. 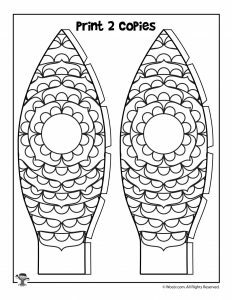 Score the folds – this is done by tracing over the fold lines with an empty pen or other non-marking pointed object. It makes the paper much easier to fold and hold in place as your glue dries. Score the lines on all tabs and on the dotted lines on the basket sides. Fold all the scored lines. Assemble the balloon by gluing the tabs to the next balloon section as shown. Assemble the basket by folding the basket sides into the shape of a pentagon and glue it together with the tab and bottom as shown. 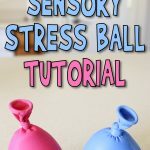 Once the balloon top and basket bottom are assembled, use string and tape to attach the top and bottom together as shown in the photo above. Make a whole bunch of them in different colors and hang them from your ceiling! 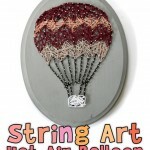 You might also like our hot air balloon string art project or another popular printable craft: finger puppets!